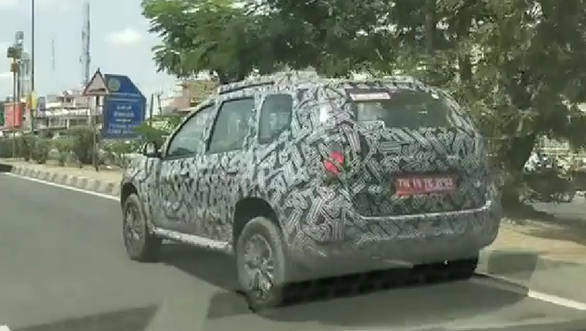 A test mule of the Renault Duster compact SUV was spied in Chennai, India. The compact SUV was heavily camouflaged hinting at major cosmetic updates. 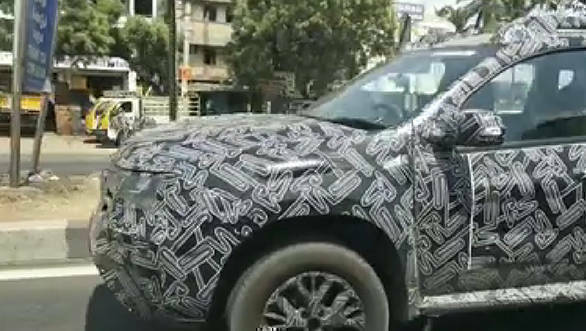 Along with the exterior changes, we believe the compact SUV's engine will be updated to meet the BSVI norms which will be regulated from April 2020. 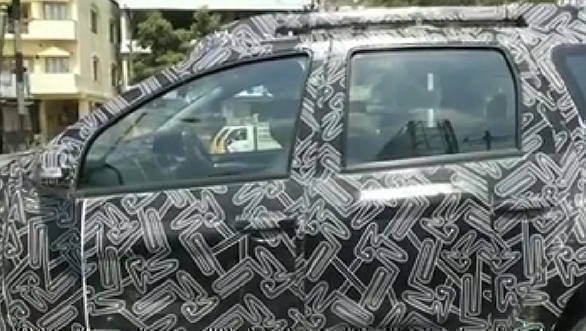 The test mule of the upcoming Renault Duster was equipped with a set of newly designed multi-spoke alloy wheels and revised headlamp elements. That said, the 2019 Duster will have restyled bumpers and a tweaked shoulder line. The interiors are expected to carry a different theme than the current model on sale. The engine is expected to be the same, 1.5-litre turbo diesel available in the two states of tune; 85PS and 110PS. The 85PS tune will be offered with a five-speed manual whereas the 110PS tune will get a six-speed manual gearbox. Both the variants will be available with a choice of an automatic transmission as well. The BSVI compliant Renault Duster will carry a sticker price higher than the current model and should be priced between Rs 8.50 lakh and Rs 13.50 lakh ex-showroom pan India. The 2019 Renault Duster is expected to be launched in the coming festive season, and rival the Nissan Kick and the Hyundai Creta along with the sedans placed in the same price bracket.